The Shoemount/Speedlight Umbrella Kit includes a LiteReach LiteStand and base so that you can use it as a back light stand or rest it on a table top when not in use. The base of the LiteReach will also mount to the top of a LiteStand for a temporary extender. 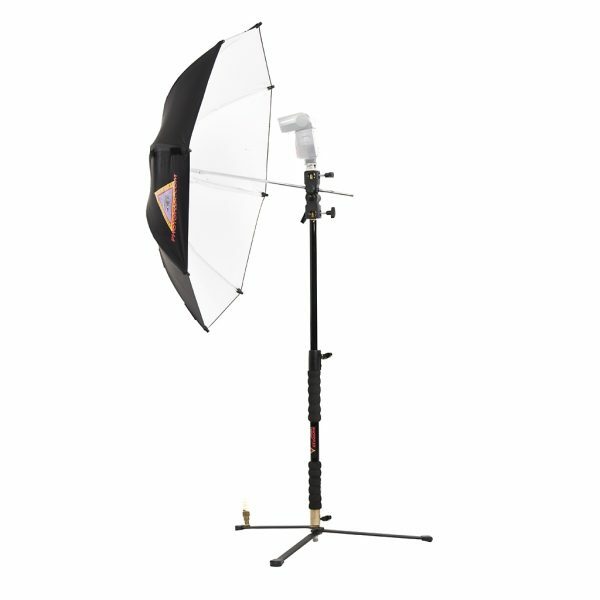 This kit includes a multiclamp swivel to mount your speedlight along with the included 32” white interior umbrella for a wide soft bounced light spread. The LiteReach extends from 18” to 34” with foam grip handles; base is collapsible. Tip to Tip Width 30"